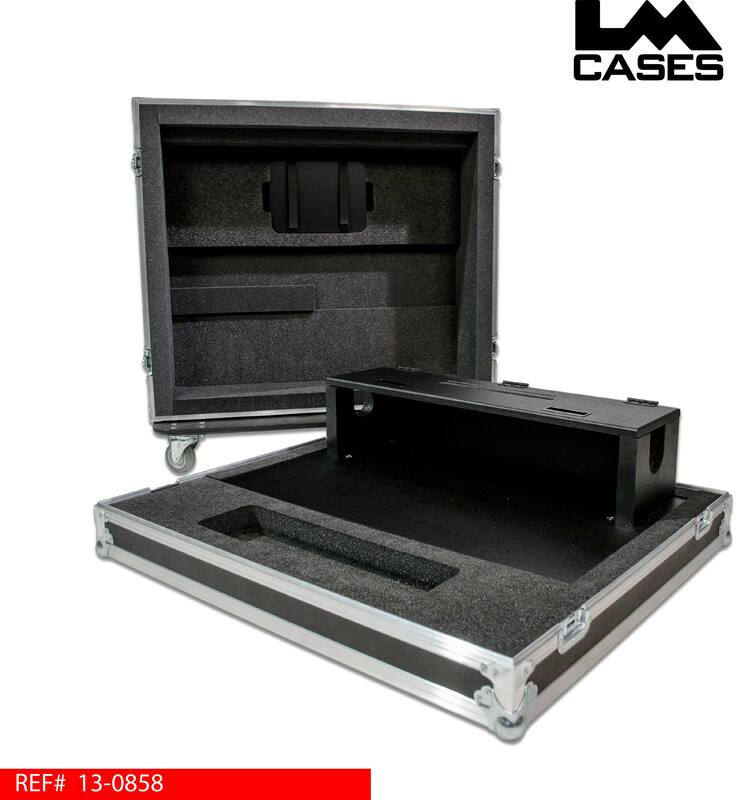 This case provides a durable home for your Behringer x32. 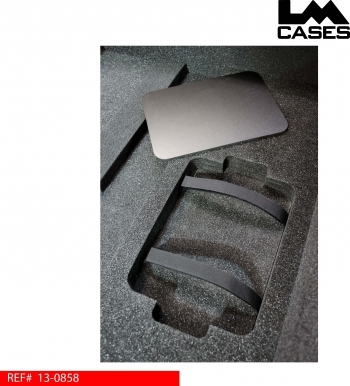 The case interior features a 2" foam lined interior with custom foam blocking around the console to keep it secure even during rough handling. Mounted behind the console is a doghouse that is built out of 3/4" Baltic Birch plywood and finished with black texture coating. The doghouse features a custom holder for an iPad that allows it to be displayed and also easily accessible to grab it and go. 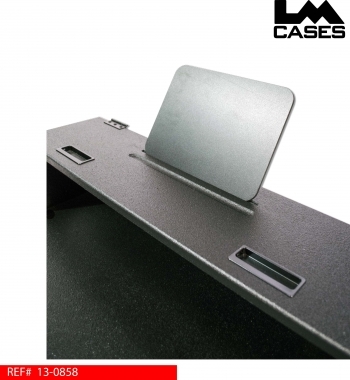 The doghouse iPad holder is beneficial over a mount in the sense that it allows you to quickly grab the iPad without detaching it from a mount. 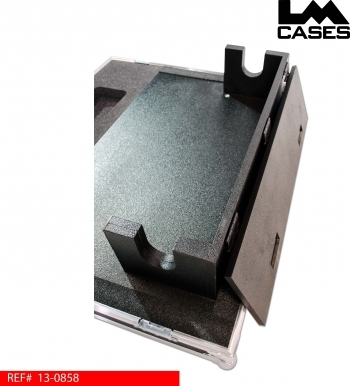 If you aren't using an iPad, the holder works great as a safe spot for scripts or set lists. 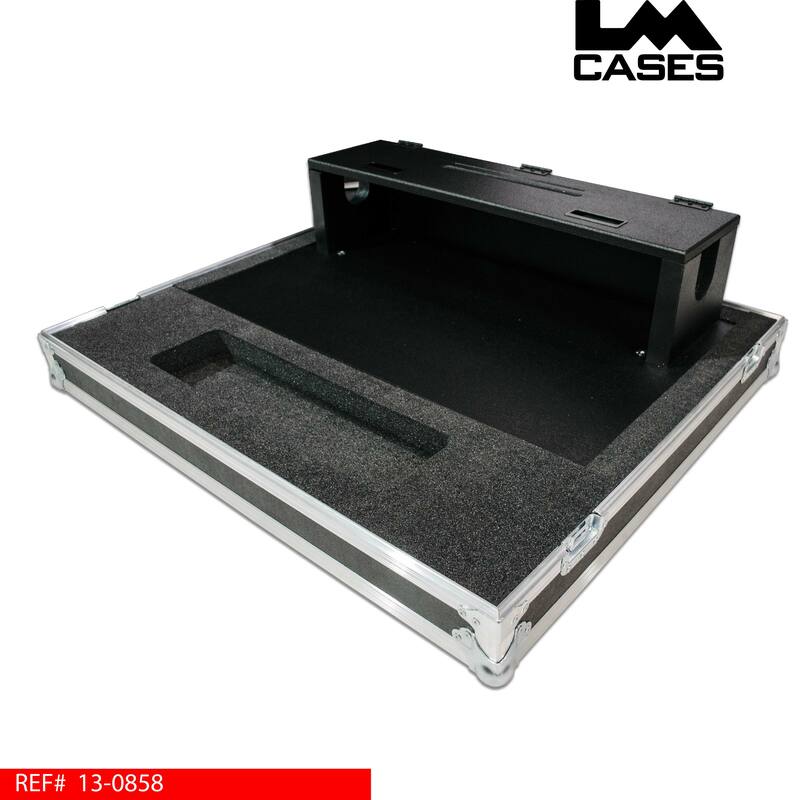 During transport, the iPad is stored in the case lid which allows the case to ship as a complete package; perfect for rental applications. 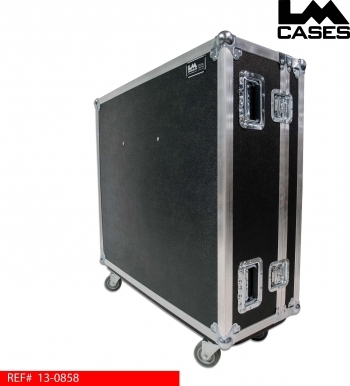 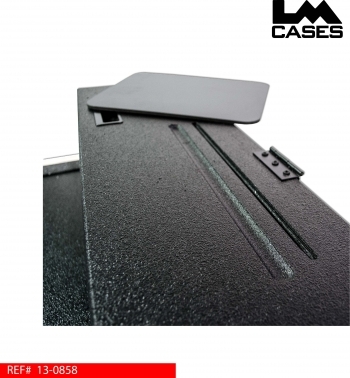 The case exterior is built from 3/8" plywood and features deep recessed handles and 3.5" casters.